Let’s see. Should we start with the spot-on design, the great technology, the stellar amenities, or the unbelievable views? Today’s Saturday Six Hundred is an absolute real estate unicorn. 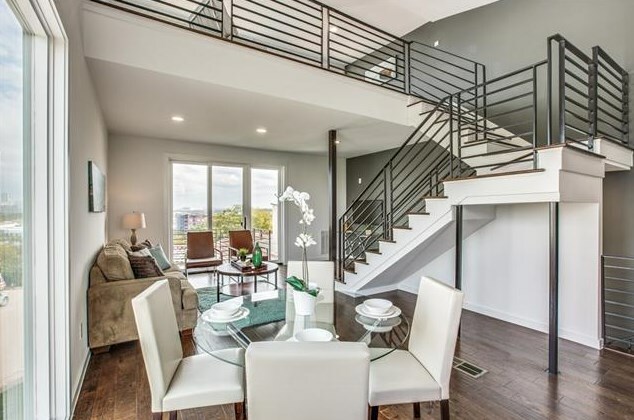 This four-level, energy efficient, luxury townhome at 1910 Wickmere Mews offers all of those high-end finishes you’ve come to expect as well as a host of fantastic surprises. Spoiler: it shares amenities with the Belmont Hotel. Lounge by the pool or catch one of the outstanding live music shows all for a criminally low HOA fee of $81 per month. I know, right? Sundrenched with views to die for, the 2,250-square-foot unit comprises two bedrooms and two-and-a-half bathrooms. Listed by Alex Prins of Coldwell Banker, this gem is going for $649,000. Now, usually I find myself rather unmoved by 3D tours, but this one rates as an exception. Join us after the jump for it and lots, lots more. Monte Anderson thrives on shaking up standard ways of thinking about development in Dallas. After he sold the historic Belmont Hotel five months ago, a bellwether renovation and restoration project that put his name on the map in 2005, he got right back to work doing what he does best. “I took all the money from the hotel sale, and we invested it into more ugly properties to turn around, every penny of it,” he said. Those “ugly properties” are in south Oak Cliff, around South Polk Street and South Beckley Avenue, and Anderson is ready to perform microsurgery. 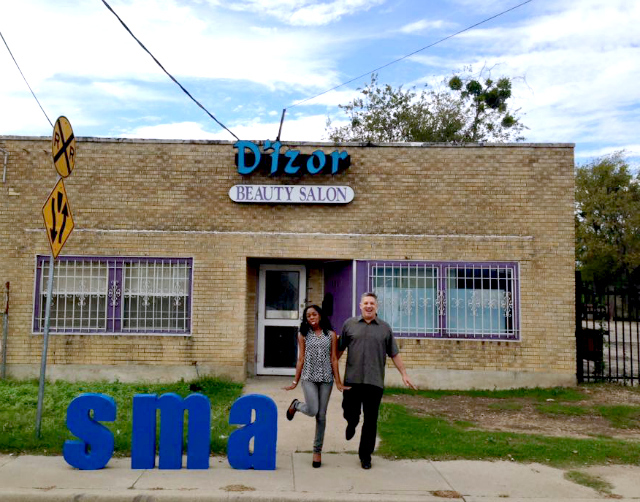 “With microsurgery, you go into an area that has good bones, like Elmwood southwest of Bishop Arts, and you start by buying one property and fixing it up or building one small building and making it into a good retail or residential space,” he said. He’s one of the original Dallas pioneers of urban “gentlefication,” moving into distressed neighborhoods and slowly redeveloping in an effort to reduce crime, create harmony, and build community. This is radically different from gentrification, which usually forces out low-income residents with high-income folks seeking the next hip place. Gentlefication helps long-term residents take back their neighborhoods, stabilize property values, and build safe communities for their families. It’s also different from what Dallas is doing with its Grow South plan, Anderson said. 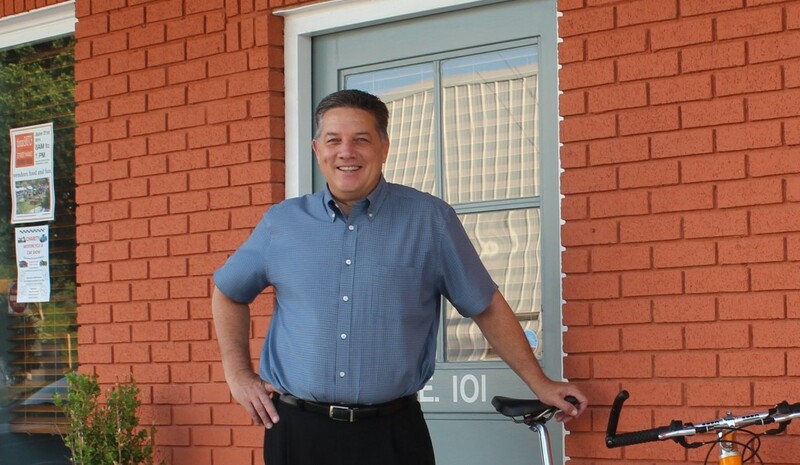 Anderson is a self-proclaimed “hard-core new urbanist,” spreading his message of gentlefication with his company Options Real Estate, which specializes in southern Dallas County. The clock is ticking for the old Mission Motel in West Dallas as Trammell Crow Residential begins work on a new development on the site and adjoining lots, which will include 300 rental units, as well as 14,000 square feet of retail space. “We are tearing it down. We just finished asbestos abatement and will start demo soon,” said Matthew Enzler, Managing Director for Development at Trammell Crow Residential. We reported on the developer’s purchase of the Mission Motel last July. Over the holidays, the developer tore down an old bank at Fort Worth Avenue and Yorktown Street. The Mission Motel and two other nearby properties will also be cleared soon, Juan’s Body & Frame and Nino’s Body Shop. Jump to read more. CandysDirt.com has invited me to become part of its growing family of community reporters. Founder and Blogger Candace Evans has given me a glorious section of Dallas to call my own: Oak Cliff. I’m thrilled because I think it’s the biggest and the best. Oak Cliff is by far the largest neighborhood in Dallas. Oak Cliff encompasses 476.2 square miles. Only slightly larger is San Francisco at 490 square miles. At the turn of the century as Highland Park became the fashionable address for Dallas, she competed with both Kessler Park and Stevens Park in Oak Cliff. All three neighborhoods were comparable and built in the same grand and elegant style. As Highland Park has seen many a historic home fall to the more modern and updated, Kessler and Stevens Park owners have stood solidly behind their historic heritage although many of the homes have been updated to today’s standards. You will find a lot of granite countertops and stainless steel appliances in houses built here almost one hundred years ago. Kessler and Stevens Park may be the grandest districts of the neighborhood, but many other pockets of style and charm exist. Of all Dallas neighborhoods, Oak Cliff has the geographical advantage of sitting on virtually the only hills in the city. (Some say the Texas Hill Country starts in Oak Cliff.) You will find many a house perched like a proud parrot upon its own vista. 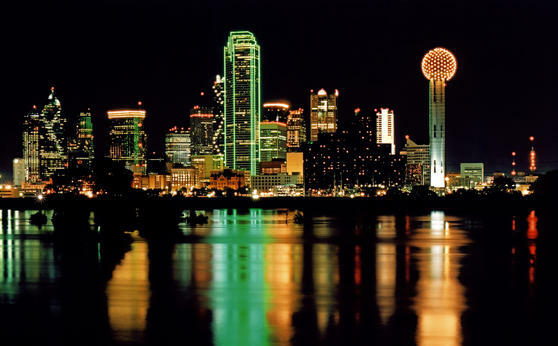 In addition, Oak Cliff boasts the most sweeping and panoramic views of downtown. Have a seat at the Belmont Hotel patio on Ft. Worth Avenue and you will truly understand the breathtaking sights the neighborhood has to offer. Oak Cliff is the phoenix of Dallas. Over the years it has fallen into deep despair only to emerge once again from the ashes. Although the great mansions of Oak Cliff may have remained in family hands, after World War II a whole generation of young soldiers and their families arrived in Oak Cliff to start their homesteads. Literally thousands of small and unremarkable single family homes were built. In the late fifties, as African Americans found Oak Cliff a suitable place to live, the neighborhood suffered as many sadly did across the nation from “white flight”. Due to the mistakes of segregation and the prejudices of the South, white people fled Oak Cliff in massive numbers turning whole sections of the “hood” or “Cliff” as it is affectionately called into solely African American neighborhoods. 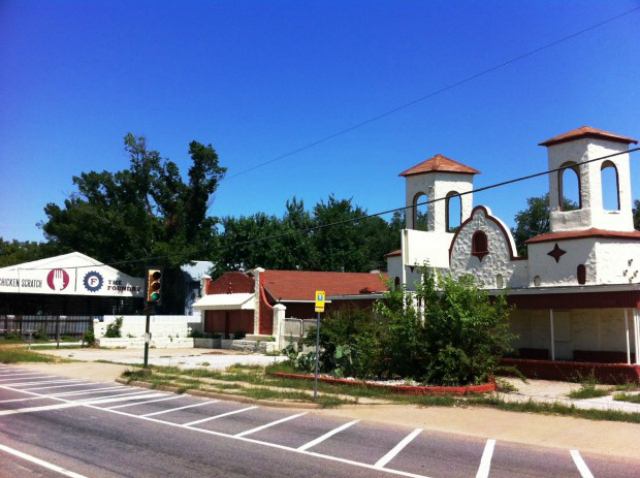 In the late 20th century it has also become a popular neighborhood among Hispanic Americans and in fact, out of the current Oak Cliff population of 174,006, the predominant demographic is now Latino followed slightly by Caucasians. I moved to Oak Cliff seventeen years ago. My home is in a lovely but almost hidden neighborhood called Ravinia Heights. My two story farm house sits on almost two acres. It was built in 1917 by the Railroad Commissioner of Texas, at the time. The garage is the original horse barn and my guest house sits quietly behind a huge “Lady Banks” rosebush that almost covers the entire wall of the structure. When I moved to Oak Cliff the situation seemed rather bleak. All of the grocery stores were rather run down. Aside from the original Gloria’s restaurant and Norma’s Diner, there were little opportunities here to dine out. There was no shopping to speak of, although at one time Jefferson Avenue was the major downtown shopping district, and also home to the Texas Theatre of Lee Harvey Oswald fame. Almost everything required “crossing the Trinity” and entering Dallas proper. All of that has changed now as Oak Cliff has once again emerged as a destination to be reckoned with. Oak Cliff is a scrappy fighter. As a neighborhood, she doesn’t give up. First to rise was the Bishop Arts District. A series of charming empty buildings suddenly become a place to see and be seen. Expanding almost daily, it is home to such remarkable restaurants as Hatties, Cretias (which actually moved here from Uptown), Vera Cruz and Tillman’s Corner. Little shops and galleries began appearing and now you can spend hours browsing antiques, knick knacks and art. Fortunately, people are now crossing the Trinity in the opposite direction of downtown. Ft. Worth Avenue and Davis Street are also expanding with new shops and restaurants almost daily. The Stevens Park public golf course is in the final completion of being totally redone to fit more modern golfing tastes. A state of the art Tom Thumb grocery store sits on Hampton Avenue. The blue laws that shackled Oak Cliff as a dry area are finished and now you can buy a fine bottle of wine at your favorite market. Gloria’s restaurant just relocated to an old firehouse and is now the pride of the restaurant’s properties. P.S. it is packed every night. People are taking pride in the neighborhood once again. We even have our own little magazine called The Advocate. As a devoted resident and beloved fan of Oak Cliff, I cannot lie. Oak Cliff is still moving and shaking. To live here is to accept that you will mingle among diverse races and economic status. We are a neighborhood of the very rich, the middle class and the poor. Oak Cliff has the stigma of a crime ridden location, but that is simply not true. Crime is usually related to certain groups and areas. After 17 years in a house here, I have never dealt with any sort of crime whatsoever. As far back as the late eighties a new wave of resident began inhabiting Oak Cliff. Young couples looking for a bargain, members of the gay and lesbian community looking to fix up a place to the nines and middle class homeowners started to retake the neighborhood from its sagging past. Now we have a marvelous and amazing mix; white, black, Latino, rich, poor, middle class, gay, straight, childless and full families have returned to Oak Cliff with delight. Oak Cliff has become a melting pot, much like New York or San Francisco. You get it all when you live here. Finally, what brings everyone to Oak Cliff? Frankly, the bargains! The average home price in Dallas proper is $237,000 to $260,000 versus the much more manageable average Oak Cliff price of $131.000. Don’t get me wrong; there are still houses of great cost in the Cliff! A home just sold for well over a million dollars (I will be bringing you info. on that sale in a future post). Regardless, Oak Cliff is a true bargain. If I could pick my property up and move it to Highland Park, it would be worth millions. Here in Oak Cliff it could be bought for much, much less. The dirt is, well, cheaper south of the Trinity. I very much look forward to future contributions to CandysDirt.com. I hope that I can present a variety of amazing real estate, homes, design and REALTORS to you and allow you to recognize and love Oak Cliff for all that it is. Those of us that live here love it. Contact me at bratprince@aol.com with Oak Cliff news or views. I can’t wait to introduce you to the amazing real estate that can be found in the “Cliff’!